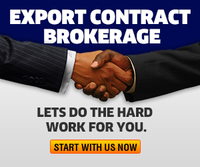 Consultant, Broker & Export Merchant: info@thethyglobalexport.com.ng +2347033632285 (Whatsapp). 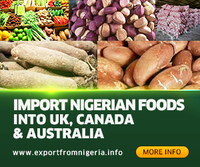 Nigeria is the largest producer of kolanut in the world, producing 130,000 metric tons per annum. 30% is exported to other African countries and some other Islamic countries all over the world. It is readily available in Ondo,Ogun,Osun and Edo State. 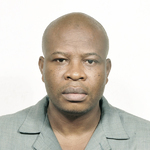 It is great export earner for Ivory cost, Ghana, Nigeria,Cameroon and Sierra Leone. It is an area that Nigeria exporters should start exploring. 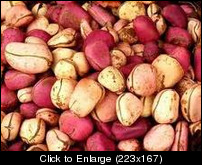 For comprehensive manual detailing step by step procedures on kola nut trading in Nigeria, West Africa and world at large contact: MR. ISMAIL ABDULAZEEZ, Tel: +2348023050835 , +2347033632285. The bargained price for the unique manual is N7,500. 1. Visit any branch of FIRST BANK OF NIGERIA PLC and pay the sum of N7,500 (Seven Thousand Five Hundred Naira Only) into THE THY CONSULTING A/C 2004862363. 2. Alternatively ,visit any branch of GUARANTY TRUST BANK PLC and pay the sum of N7,500 (Seven Thousand Five Hundred Naira Only) into THE THY GLOBAL INVESTMENT LTD A/C 0036974905. 3. Or , visit any branch of ECO BANK NIGERIA PLC and pay the sum of N7,500 (Seven Thousand Five Hundred Naira Only) into THE THY GLOBAL INVESTMENT LTD A/C 1801008339. The manual with other bonuses would then be dispatched to you immediately your payment is received.